Way back in the good old 50s and 60s, the streets weren’t so broad. Now during these days, the wiring of the parking lights which were known as “Sidelights,” was independent of the headlamps of the car. They were located towards the side, instead in the front of the car, and the best part was that they were dim lamps and they didn’t consume much battery. But considering the kinds of streets we have today, for every car owner its essential to be extremely alert because if we aren’t aware it may cause accidents. Therefore, it became important to keep the parking lights of your car switched on, whenever it was parked on the side of a narrow road in the night, which ensures that its visible to other drivers passing by. Well here we go again “Parking lights,” well the mere notion of any light being left on after a vehicle is parked seems preposterous? 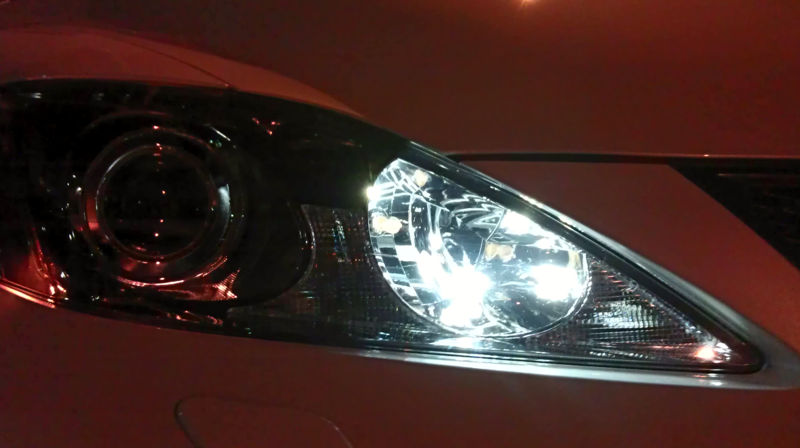 Did you ever realize about the purpose of the additional LED bulbs located adjacent to a car’s main headlamps? The parking lights are very helpful to drivers who require less light, to assist them in parking their car in their garage or their parking space. Parking lights have become popular at insufficiently lit roads. Nowadays, if a person parks or stops his car at the side of the road, the hazard indicator of the car is used in place of the parking lights, using the parking lights is a low-battery-consuming alternative to the latter and should be incorporated. In conditions where the lights are also used in low-light driving, such as during night or twilight hours, and nowadays these parking lights double up as daylight lamps. And if you’re wondering about the battery consumption in your car, it doesn’t arise when the car’s engine is running. So always remember prior to switching on the parking lights, or any lights of your car, Keep in mind well with all the local driving norms. No one wants to give a fine but if you don’t abide by the law and instructions given by the online traffic school California DMV approved, you’ll be making things difficult for yourself and your precious car as well as your own self at risk especially if it’s dark outside. ← Here’s Why You Should Wear Your Seat Belt This New Year!